Shortly before 9 a.m. on Thursday, July 27, 2017, at a house on the 17000 block of Bernardo Oaks Drive near Rancho Bernardo golf course, the cries of a 55-year-old man stuck in a tree could be heard in the tony neighborhood. 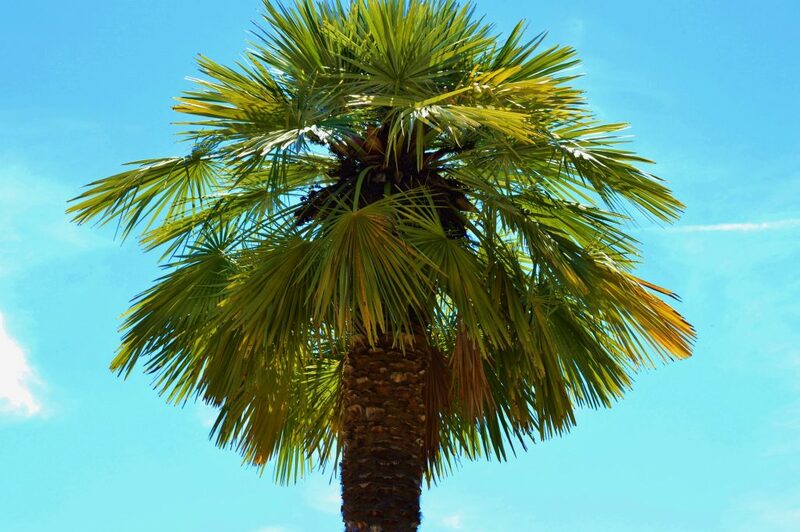 The man was a tree trimmer who had been working near the top of a 40-foot palm tree when the large skirt of fronds—weighing several hundred pounds—came down and wedged him in the tree. This led to a challenging rescue by the San Diego Fire Department (SDFD), which arrived quickly to the scene. According to SDFD officials, the man had been cutting corners on the job, which led directly to this dangerous situation. “Instead of throwing the top rope over the crown of the tree, [it] came up the bottom of the tree,” explained SDFD Battalion Chief Glen Holder. He also added that this type of incident often ends in a fatality, however, on this occasion, the fire crew was able to safely remove the man from the tree after about an hour, and he is expected to fully recover. While this rescue situation may sound unusual to most people, Chief Holder said these are not uncommon in the business of tree trimming. So what happens when you, as a homeowner, hire a professional tree-trimming service to manage the trees in your yard? First of all, you may have noticed SDFD said the man had been skimping on proper safety measures. He had put himself in danger by trying a quicker method. How can you be sure that your tree-trimming service is following the right safety procedures? The California Contractors State License Board (CSLB) says you should always hire companies that have a C-61/-49 tree service license and are certified by a reputable arborist association. This also means that you, as the homeowner, should not put yourself at risk by hiring cheap, uncertified labor. The homeowner may be held liable in the event that an uncertified tree trimmer is injured or killed, according to CSLB Registrar Steve Sands. “It only takes a couple of minutes to check the CSLB website, www.cslb.ca.gov, to verify that anyone you want to hire for work in or around your home is properly licensed,” Sands said. If you have had the misfortune of hiring someone to work on your property and he or she has been injured, then you are familiar with the legal implications that result from such an accident. It’s important to hire an experienced attorney to help you through the process. Contact Jurewitz Law Group at (888) 233-5020 for a free consultation. Visit our website to learn some FAQs about personal injury.